Hello everyone! 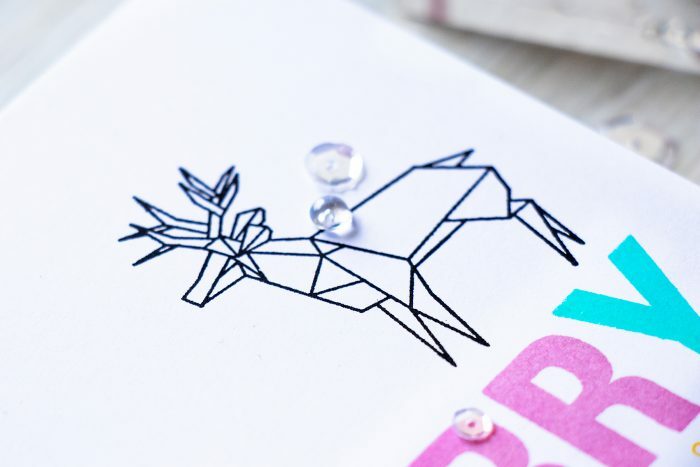 There’s a new challenge starting over at Hero Arts – its all about the Holidays and Christmas Cards, if you enjoy participating in various challenges be sure to join, they are some great prizes to be won! 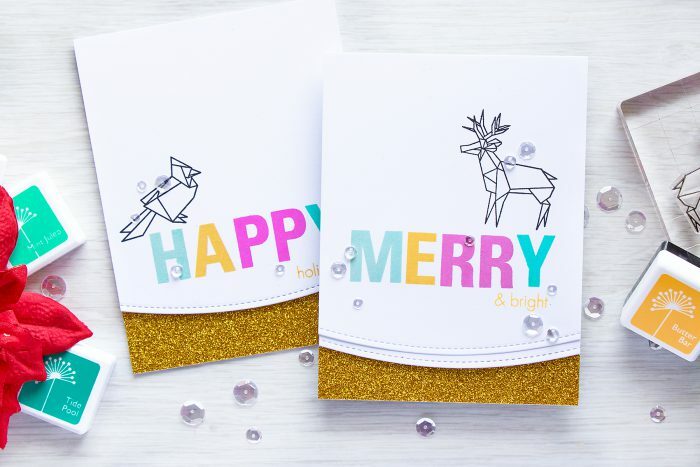 Today I’d like to share two cards I made using Hero Arts Origami Happy Holidays stamp set. 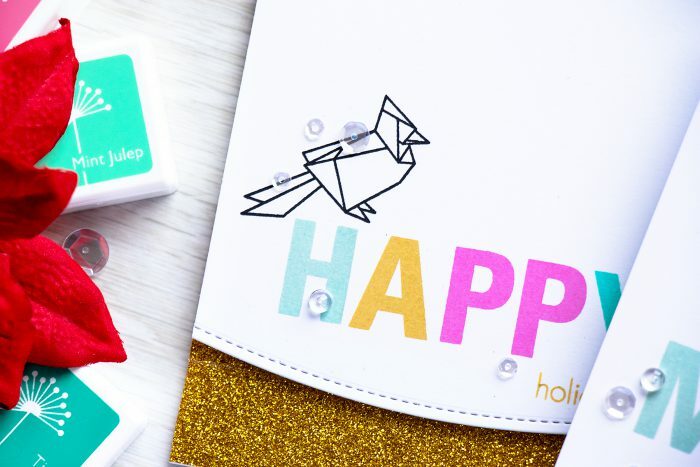 Very simple cards that involve just a bit of creative colorful stamping. I used Luggage Alphabet stamp to spell out “Happy” and “Merry”. I love how big the letters are in that set making it perfect for creating stamped sentiment background, large sentiment focal points etc. 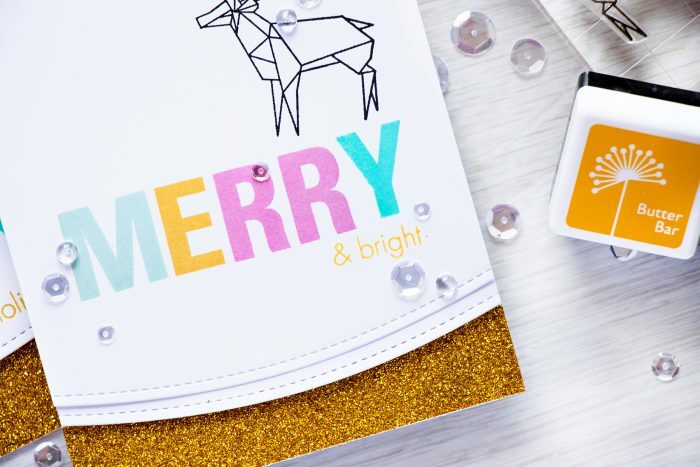 These cards feature non traditional Christmas colors, I went with mint, yellow, pink and blue (I’m linking to specific colors below). 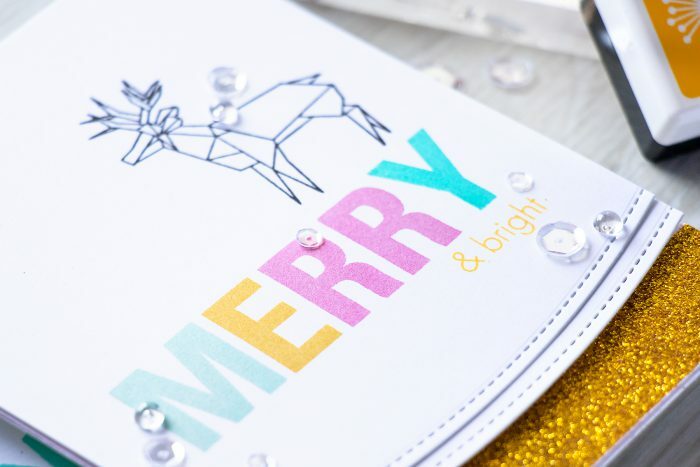 I also couldn’t resist using glitter paper, so I added a layer under the die cut panels. Origami critters were stamped just in black. I wanted the sentiments to get all the attention, so I decided not to color my animals, although I could have added a light gray shading with an alcohol marker. To finish these cards I adhered a few sparkling clear sequins and clear drops from Pretty Pink Posh. Just a reminder about the Holiday challenge over at Hero Arts website. Be sure to join, they are some great prizes to be won! You did a great job making these cards but I am more of a traditionalist when it comes to Christmas cards. The reds, greens, gold & silver. 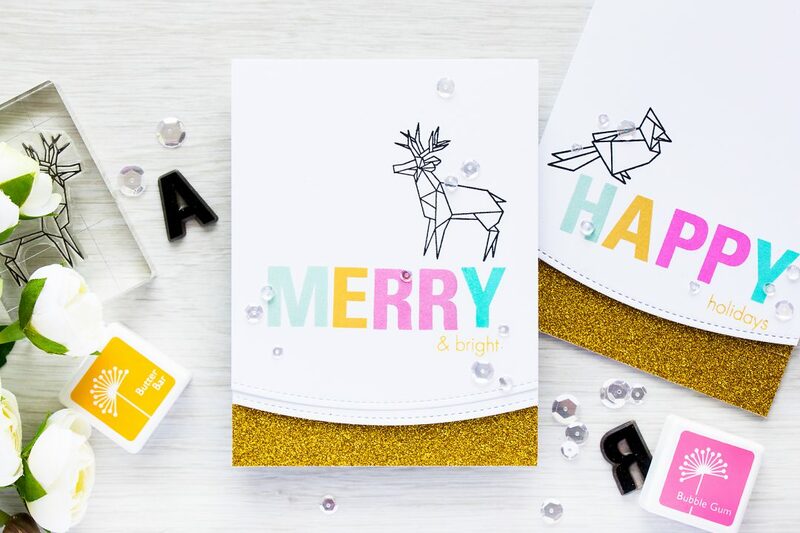 Just love your colorful MERRY sentiments, Yana – perfect with the origami animals and glittery gold border!! These are super cool!! Love the CAS design! Both card are VERY NICE Yana, ♥ them! I ADORE this pair of cards, Yana! Love the big sentiments so much! They’re beautiful and perfect! These origami images are amazing. And thank you for reminding me about this alphabet! These cards are so cool looking, plus they are pretty.